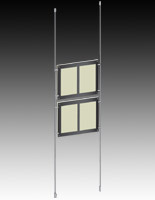 Why do most business owners prefer using LED lighting to standard neon systems? 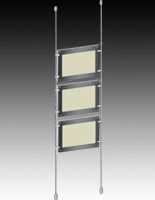 This 11 x 17 floor-to-ceiling hardware that mounts wall lighting is a company must-have when visuals are in the mix. 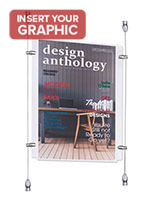 Ordering LED backlit frames for your organization is a breeze - the kit includes stainless steel wire cables, acrylic framing, and screws to make illuminating graphics a breeze. 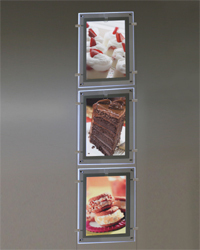 These lightboxes are innovative and functional for small and large businesses. 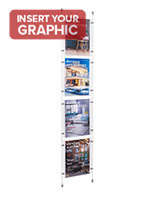 Choose from single- and dual- graphic illuminated panels when ordering 11 x 17 floor-to-ceiling hardware, also known as a picture hanging systems. 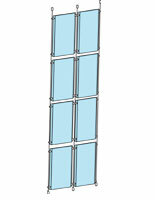 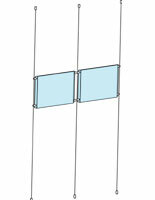 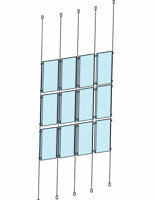 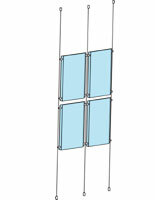 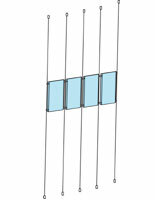 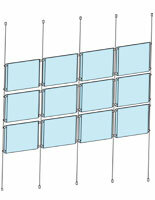 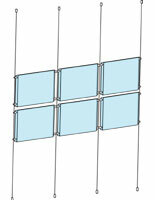 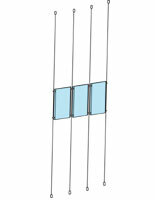 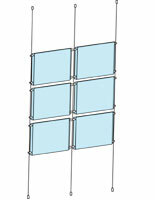 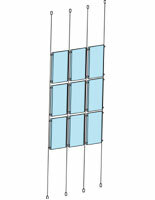 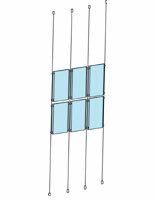 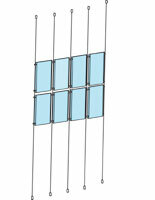 The stainless steel cable system mounts securely in windows or in the show-room-at large, giving staff peace of mind! 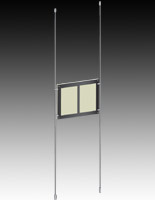 The 11 x 17 floor-to-ceiling hardware, such as LED backlit frames, have a slim construction of two acrylic panels for photo use. 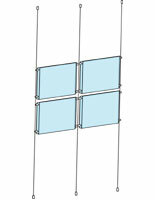 The lightbox display consists of 11" x 17" screen size. 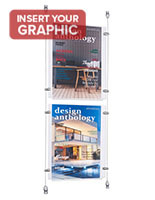 These displays serve as anchors for visuals that sell your brand, talk up a product or event, or simply provide well-needed, beautiful glowing light for a special event. 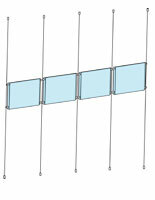 What are some of the reasons to choose these picture hanging systems over other types? 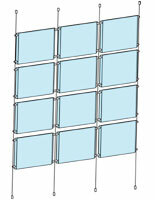 These lightbox display systems are LED backlit frames that come in many row and panel configurations. 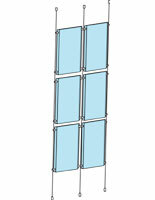 These signframes are visual anchors for any showroom! 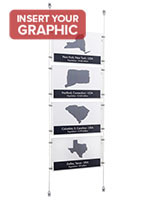 The illuminated poster signage, lightbox display kits, are an appealing alternative to neon signs in upscale environments like museums, hospitals, hotels, and galleries. 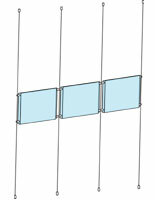 These 11 x 17 floor-to-ceiling supports and the associated cables are shipped with the appropriate low-maintenance, premium fixtures for mounting! 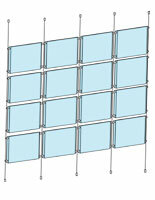 They are also accompanied by acrylic photo screens. 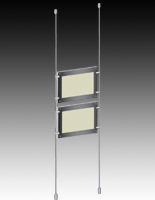 Each stainless steel fixture is coated in silver with wire suspension for a finished look. 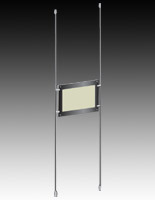 The LED backlit frames add a beautiful design accent to any décor, with floor to wall mounting. 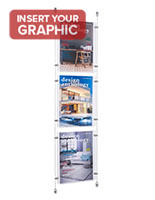 It’s essential to note that when planning to use posters in these units, they are best printed on translucent material to take advantage of the “glow” effect that LED backlighting provides. 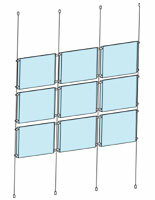 Buy 11 x 17 floor-to-ceiling supports from a reputable website like SignStandoffs.com for your all things signage! 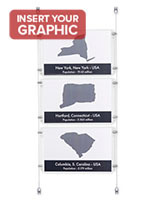 Priced to sell, and shipped (same-day when in stock) from one of our three giant warehouses, quality fixtures with a durable design and reliable hardware anchors a poster presentation in style! 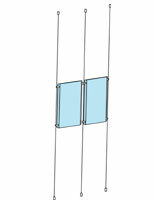 Select from tons of wire suspension accessories with low price-points! 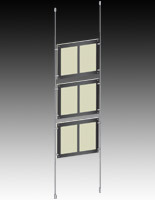 These lightboxes have much better energy efficiency ratings than conventional neon signs. 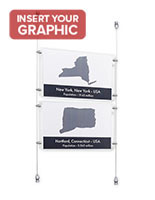 These systems are single and double sided and connected by stainless steel cables for a secure mount with many matrices options that have artistic appeal! 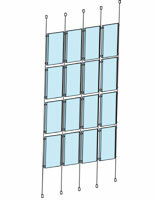 Place these fixtures in store windows, restaurants, offices, or hotel lobbies for outstanding lighted messages! 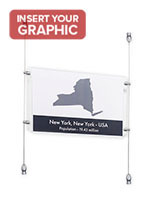 This website’s ranking at #1 in America for business and residential supplies is proven again and again from order to shipment! 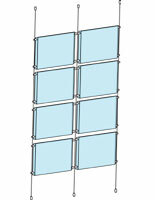 Order signs and supports for wall or ceiling in bulk for a huge saving on top-end items! 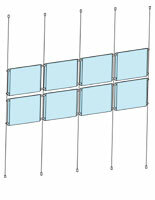 Place display and wire system orders with our customer service team by 2 p.m. EST weekdays. 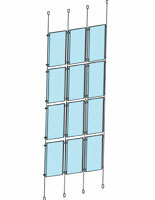 Call 1-800-572-2194 or order online!